"Sofia" Fortuno Locket comes on a standard 18" sterling silver rolo chain. Measures 7/8" wide/long X 2/8" deep/thick. Hinged door, with D&A detailing and lock. Door has a plexi-glass window with which you can display the inner image and locket contents. The bale measure 13mm X 10mm and has granulation and the D&A diamond star icon. 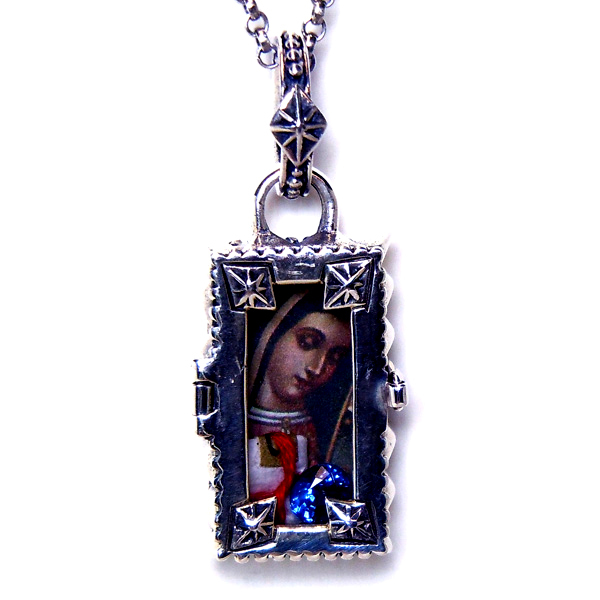 "Raphael" Fortuno Locket in sterling silver. The "Raphael" is adorned with four signature diamond stars on the door and the box frame is spiked. Measures 1" long X 4.5/8" wide X 2/8" deep/thick. The door window is made of plexi-glass. The back has our D&A logo crest and Fortuno clover. 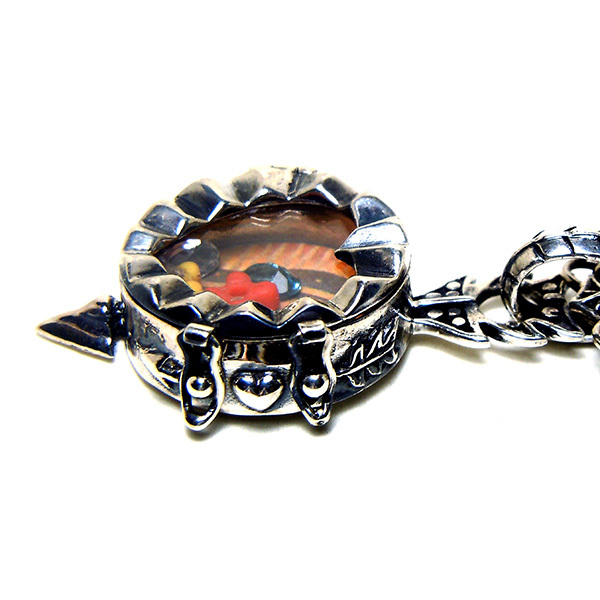 Oval "Chloe" Fortuno Locket in sterling silver with large, lucky Fortuno clover on the back. Measures 1" long X .88" wide X .25"
The back has the lucky fortuno clover & FortunoLocket logo. Lucky "Hermes" Fortuno Locket on sterling round cross chain. Locket Measures – 1" long X 4.5/8" wide X 2/8" deep/thick. The bale measure 13mm X 10mm and has the word "LUCKY" carved on the front and the back. 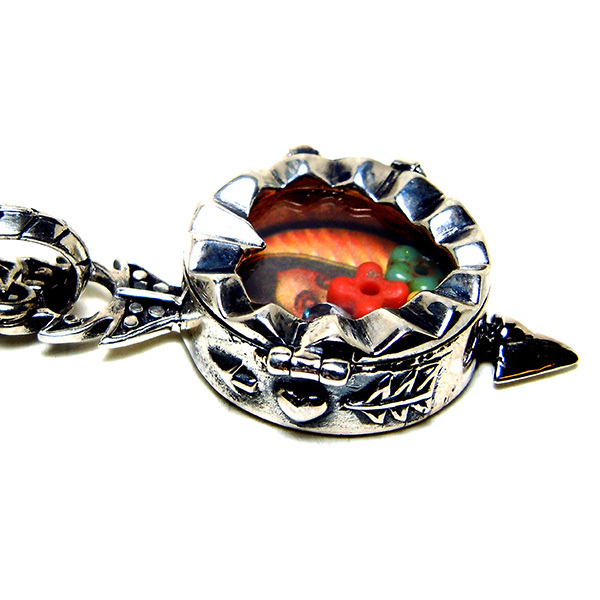 Sterling silver "Adamo" Fortuno Locket with "LOVE" carved in the back in four languages along with two hearts. Arrows adorn the sides, along with one large arrow going through the locket. Measures 7/8" wide/long X 3/8" deep/thick. The bale measure 13mm X 10mm and and is detailed like an arrow tail. The back has the words "te quiero", "amore", "Je t'aime" & "LOVE", two hearts and the Fortuno Logo. Sterling silver "Hera" dagger heart locket with heart & wings on the back. 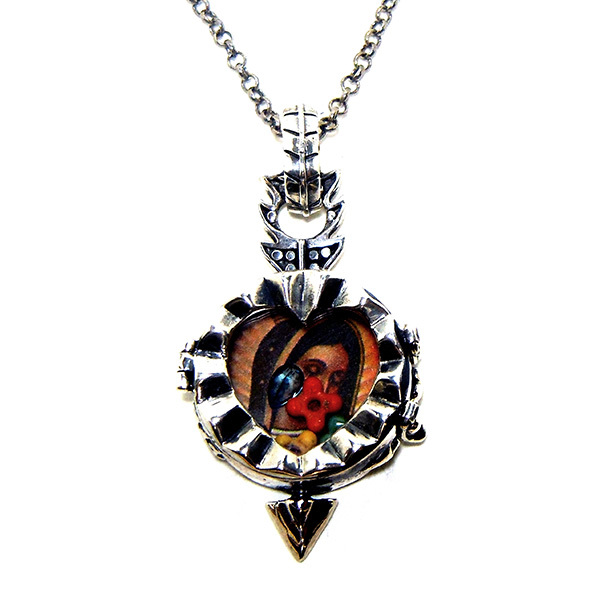 The locket is in a heart shape with a dagger through from the top. The bale measure 13mm X 10mm and has granulation and the fortuno clover.